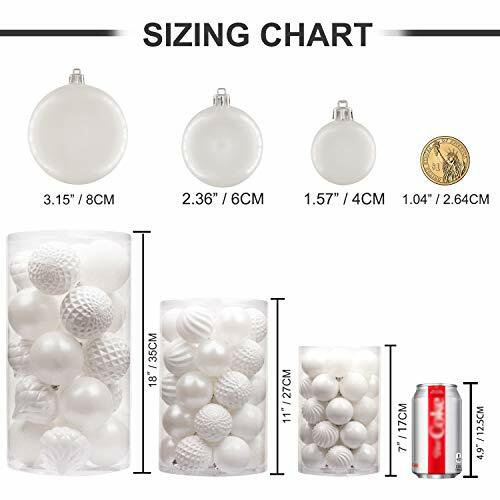 2018 KI Store Christmas balls 2.36″ are done in 5 special finishes: Shiny, Matte, Glitter, Shiny Swirl and Honeycomb. 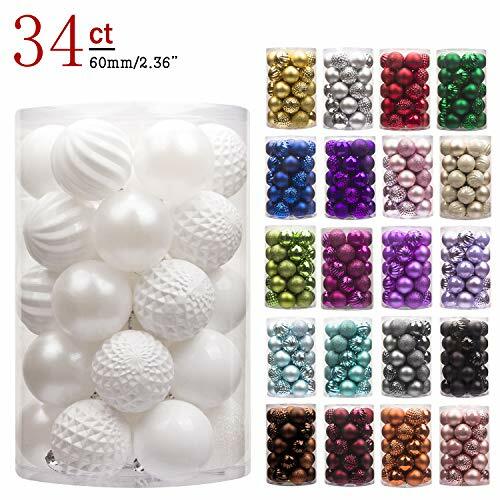 There are 22 different colors of decorative balls allow you to build your collection quickly and decorate with more possibilities. Many color choices for various Christmas decorations themes. Make great addition to your Christmas decorations and holiday decoration. Perfect home decor for a variegated display of Christmas, wedding, engagement, anniversary, party, as hanging ornaments on tree branches, table centerpieces, around banister, above reception, etc. It is also a great choice for commercial holiday decorations. 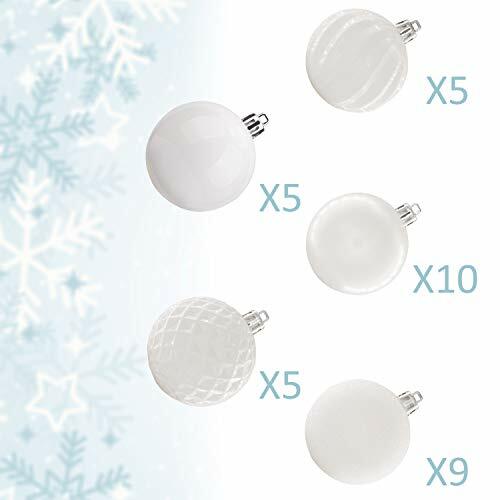 Shatterproof Christmas tree balls are combine the beauty and luster of real glass with the unbreakable practicality of plastic. Ideal for families with kids and pets. Set you free from worrying about them getting hurt and glass shards everywhere. 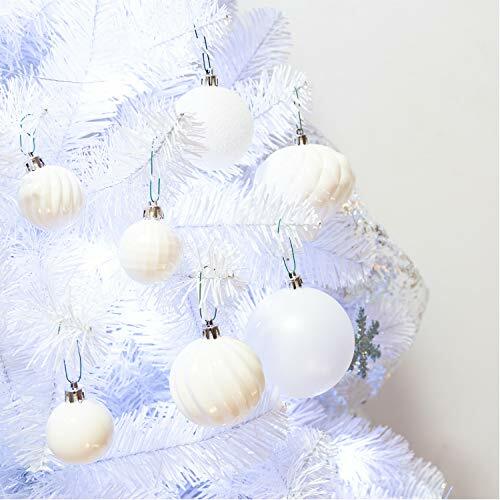 Plain colored Christmas balls for can also be used for all sorts of projects. They can be painted with acrylic paints, wrapped with strings or ribbons, updated with a snowflake or glittery letters, etc. 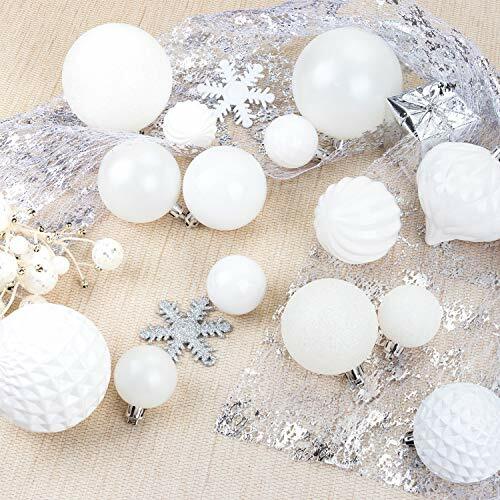 Turn plain colored balls ornament into magical work of art!